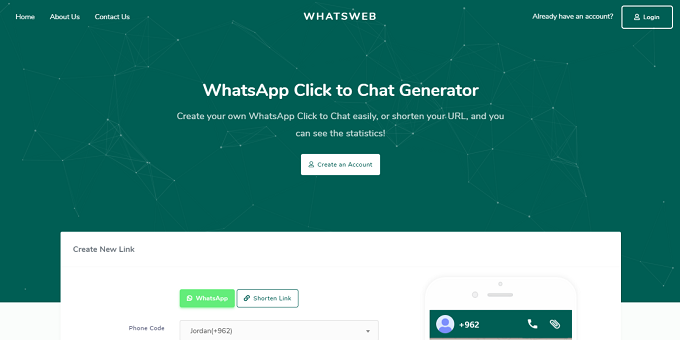 Whatsweb is a script for creating WhatsApp sites Click to Chat generators and URL shorteners. This script is suitable for marketers who want to collect email or telephone numbers. Also, it will make it easier for developers to develop, because it is based on Laravel Framework 4 and Bootstrap 4. Before buying, it's good to try first. You can get support from me, by emailing nauvalazhar2@gmail.com with the subject "Whatsweb Support - Your Subject", including your purchase code in the body of the e-mail will make it easier for me to recognize the buyer (1 - 5 working days).